Welcome to our music blog. In it, we will write all sorts of information about music and musicians. We hope that readers who arrive here from anywhere in the world value our effort and enjoy with the result. Hello I'm going to tell you about Pablo Alborán. Pablo Alborán was born in Málaga on the 31st of May 1989. He is a singer-songwriter and a musician Spanish. He has got four disc: the first is Pablo Alborán (2011), the second is Tanto (2012), the third is Tanto new edition (2013), and the last disc is Terral (2014). Pablo Alborán has won the prize in 2016 for his song "Palmeras en la nieve". He is my favourite singer because he sings very well. 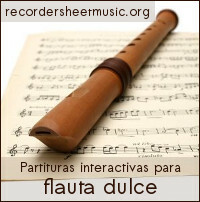 Here you can see a video of the winning song "Palmeras en la nieve".